The Eliot neighborhood is a unique and diverse community that struggles to preserve its history as it feels the pressure of fast track development within its boundaries. There are still many long time residents that recall Eliot’s history, but they are quickly disappearing. Documenting their stories and passing them onto our children is an important step in retaining the neighborhood’s cultural continuity. The EOHP has recorded 40 people telling their Eliot Story—stories about early European traditions, rich community bonds between African American residents, red lining, the Vanport Flood, and stories about the neighborhood’s challenges with urban renewal (and removal), and triumphs over poverty, discrimination and drugs. Laurie Simpson and Arlie Somer are the project creators that have, and will continue implementing the vision. Throughout the last two years the team partnered with a multitude of organizations and created lasting community connections. The project has helped empower and validate the community and reaffirm Eliot’s identity. Bankers, lawyers, railroad developers and publishers set the stage for what was known as the city of Albina until the late 1880’s. In 1891 Albina, East Portland and Portland were consolidated into what we know today as our wonderful city of Portland. 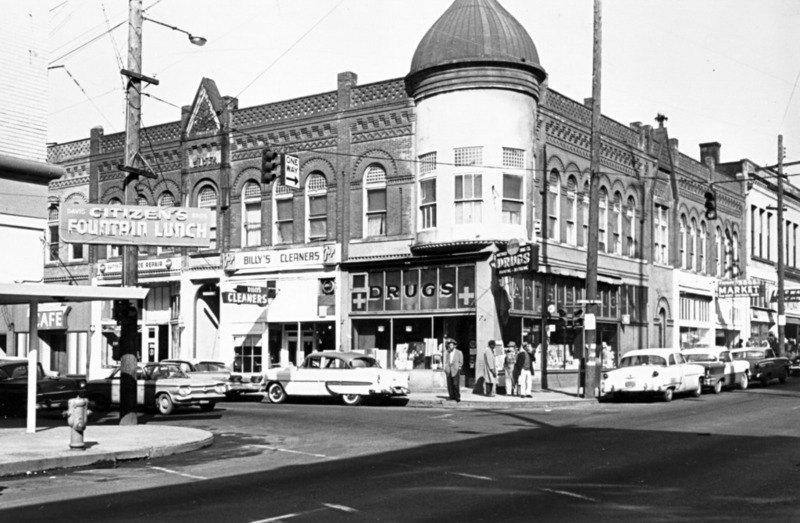 There is a rich history in our Eliot neighborhood and some very influential people helped form the east side neighborhood into a city with roots older than the majority of Portland neighborhoods. The History of Albina is the second book by Roy Roos and it chronicles the history of Eliot and surrounding neighborhoods which were originally the city of Albina. In addition to cataloging most of the homes with some amazing photos, Roos tells us the story about the key individuals who helped create Eliot. Hopefully this book will help to stop the demolition of the century old homes in Eliot and maintain its character and diversity. This book can be found at the local Multnomah County Libraries.